Saidi, A., Shamanian, M., Barati, M., Azari, K. (2004). Hyperactivation of Bentonite in Pelletizing Process. International Journal of Iron & Steel Society of Iran, 1(1), 38-41. A Saidi; M Shamanian; M Barati; K Azari. "Hyperactivation of Bentonite in Pelletizing Process". 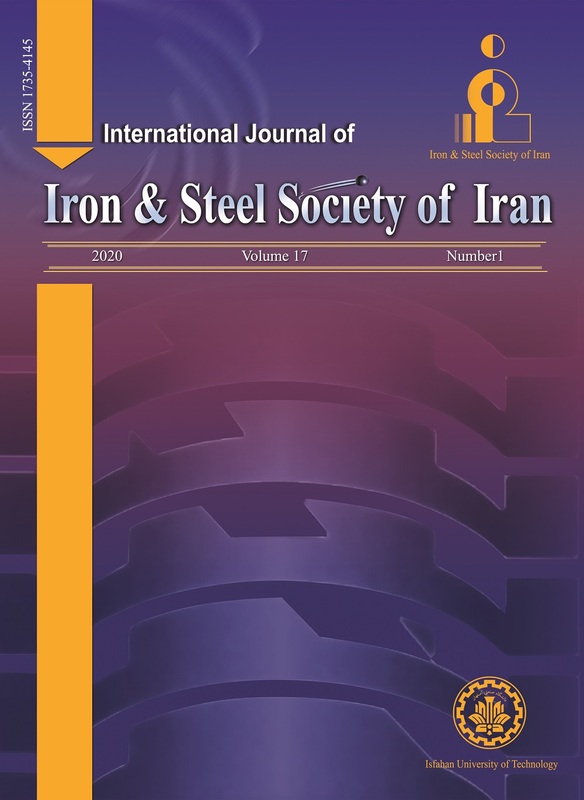 International Journal of Iron & Steel Society of Iran, 1, 1, 2004, 38-41. Saidi, A., Shamanian, M., Barati, M., Azari, K. (2004). 'Hyperactivation of Bentonite in Pelletizing Process', International Journal of Iron & Steel Society of Iran, 1(1), pp. 38-41. Saidi, A., Shamanian, M., Barati, M., Azari, K. Hyperactivation of Bentonite in Pelletizing Process. International Journal of Iron & Steel Society of Iran, 2004; 1(1): 38-41. Using DRI, Ahwaz Steel Co.,( 1990), 49.
and Optimization of Iranian Bentonites, J.